The Personal Edition of AquaSnap is for a personal use only and don’t give you access to all the features. 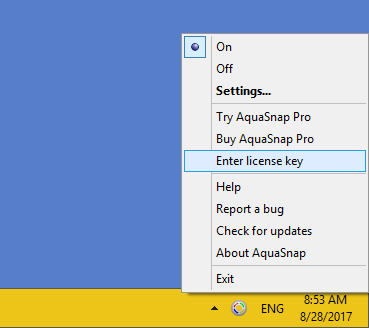 In order to use AquaSnap to its full extent and for a professional activity, you need to purchase a license for the Professional Edition. 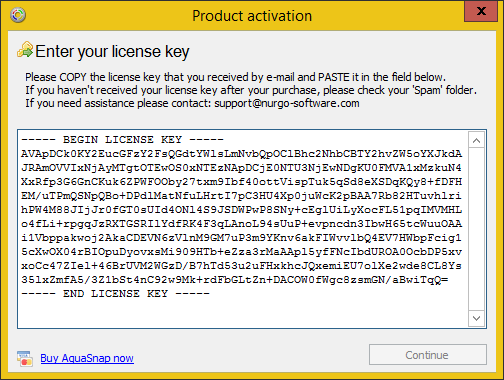 You can verify that AquaSnap is registered by hovering over the tray icon with your cursor, a tooltip should appear with the text AquaSnap Pro.